You can’t see or touch home comfort, but we all know what it feels like when we don’t have it. Whether you're considering replacing your old air conditioning system or remodeling a bathroom, Weather Master Heating & Air can help. First, you need the right contractor. With all of the clutter and options, how do you make heads or tails out of choosing the right contractor for your home improvement project? Weather Master Heating & Air is North Carolina’s premier home comfort specialist; and, with the cooperation of the Attorney General and the local Better Business Bureau, we gathered ten time-tested tips for selecting the best contractor for your project. Get a detailed written proposal: A detailed written proposal is one sign of a quality contractor. Beware of a dealer that does not back up their offer in a detailed written proposal. Follow contract law: Demand that your contractor follows contract law. A new comfort system is a big decision and with big decisions comes responsibility. Ask your contractor about the maintenance requirements of your new system: What can you do yourself and/or does the contractor offer maintenance services? A maintenance agreement is one of the best ways to ensure your system's performance, reliability and safety. 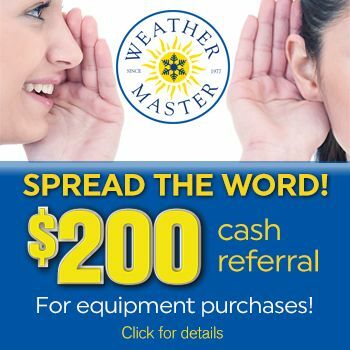 Weather Master is among North Carolina’s largest and most trusted home comfort specialists, and we encourage our customers to do their homework. We’re confident that, in the end, we can earn your business and help you avoid the perils of selecting the wrong contractor. There are no shortcuts when it comes to selecting the right contractor; however, given the opportunity, we hope to earn your business.